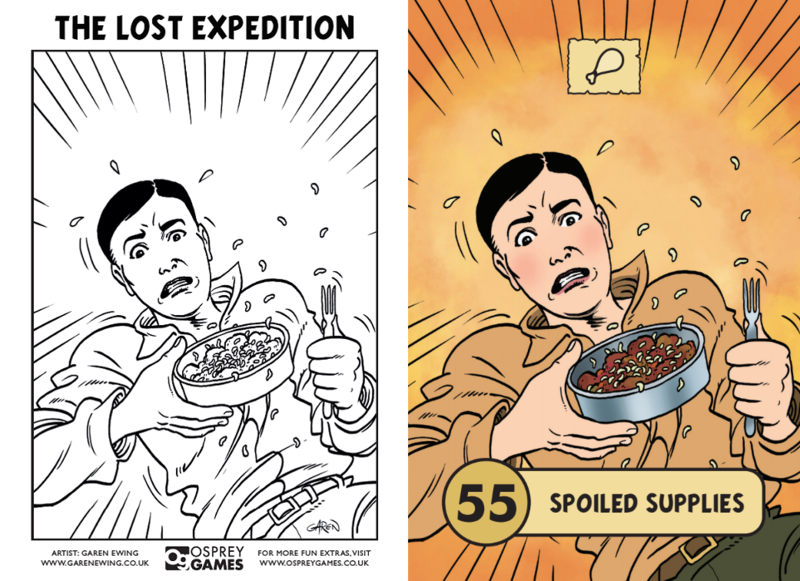 In The Lost Expedition you play a group of plucky explorers tracing Percy Fawcett’s forgotten trail to the city of gold, their journey brought to life by Garen Ewing’s stunning artwork. 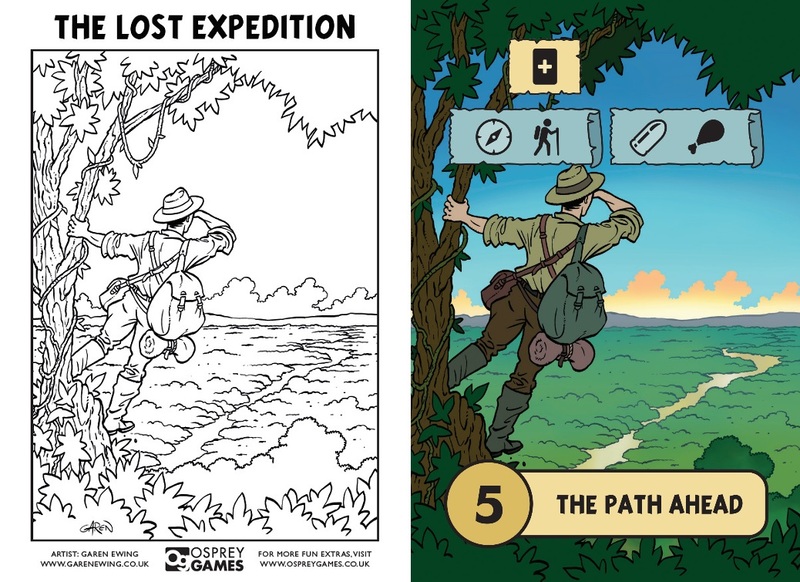 Now, you too can let your imagination run wild with these free downloadable colouring sheets, the perfect escape from a long day in the urban jungle. 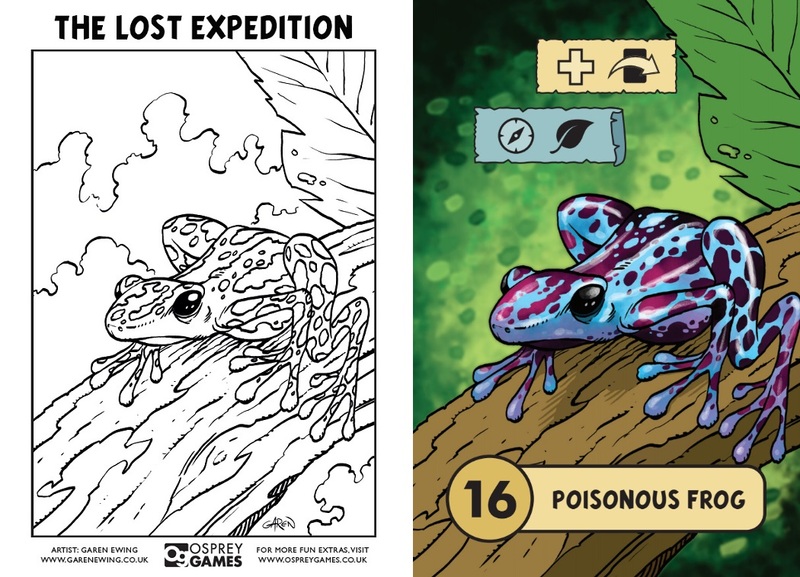 In the links below you'll find the line art for 4 original cards you might encounter mid-game: a poisonous tree frog, a wild jaguar, some spoiled food and a clear view of the path ahead. 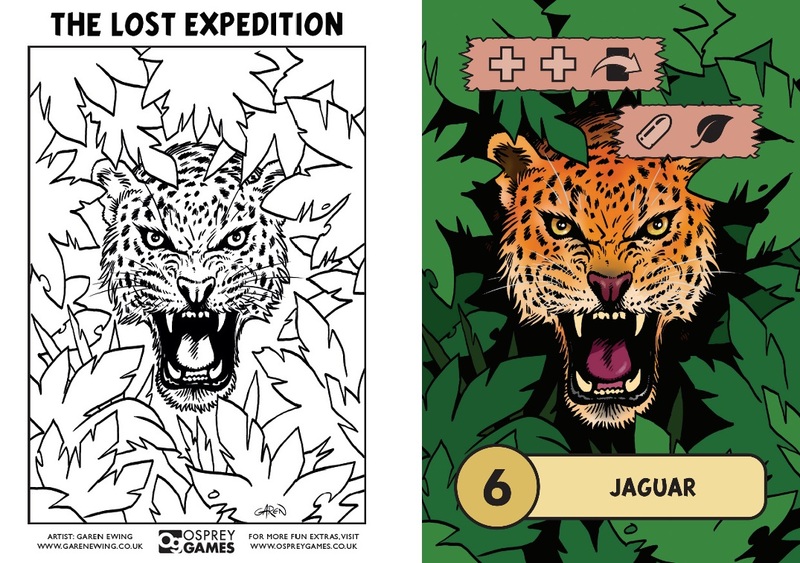 We've given you Garen's designs, but we want to see your new discoveries in the amazon - a blue jaguar? Purple trees? All are on the cards for true explorers. Download the colouring pages above for free, and don't forget to show us your adventurous artworks on our Facebook, Twitter, and Instagram pages!